A large plate of chicken teriyaki. 4 Can Borage Oil Help Acne? 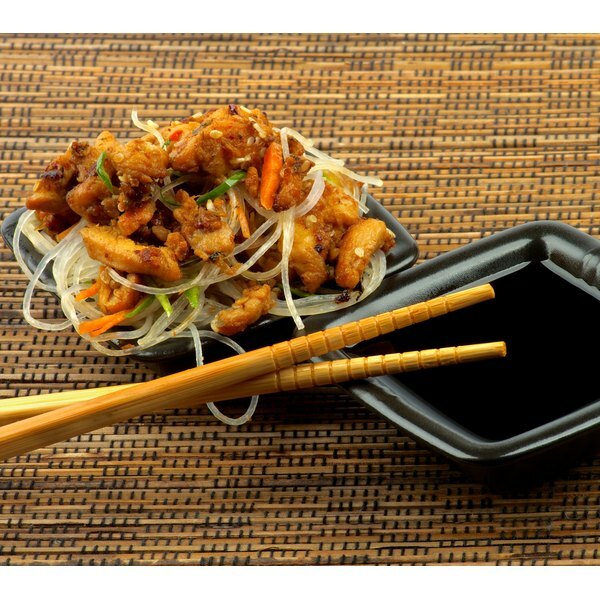 Chicken teriyaki features sliced chicken strips marinated in teriyaki sauce, which has a savory flavor and provides chicken with a mahogany glaze. Once marinated, the chicken may be broiled or grilled and served with additional teriyaki sauce on a bed of white rice. Traditional teriyaki sauce contains soy sauce, sake, ginger and sugar. 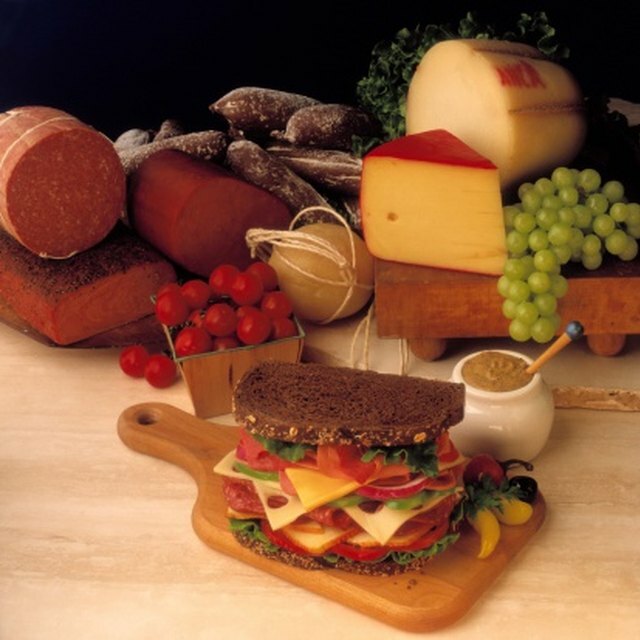 While calories may vary, a typical 4-oz. serving of chicken teriyaki contains 130 calories, including 40 calories from fat, according to FatSecret.com. The same 4-oz. serving of a typical chicken teriyaki dish also delivers 4.5 g of fat, 1.5 g of saturated fat, 60 mg of cholesterol, 350 mg of sodium, 5 g of carbohydrates, 0 g of dietary fiber, 4 g of sugar and 18 g of protein. The sugar content of the teriyaki sauce, the amount of sauce, the quality of the chicken meat and the oil used in preparing the chicken may all affect the calorie count in chicken teriyaki.